Let’s all agree that bee stings can really hurt! But some spots on the body are much more painful than others. So listen to this: Cornell University honeybee researcher Michael Smith has actually subjected himself to hundreds of bee stings. For several months, he started and ended each day with a sting on his forearm, which he designated as “average pain.” And then he tested out different body parts in between, while comparing the level of pain to his baseline, which was the forearm bee sting. The result: The most-painful places to get stung by a bee, according to our expert, are: The nostril, the upper lip, your private parts, the palm of your hand, your cheek, and your armpit. And the least painful places for a bee sting are the top of the skull, the tip of the middle toe, upper arm, buttocks, and calf. So you’re cleaning your gutters and accidentally disturbed a beehive – or a hornets’ nest… According to “The Big Book Of Uncommon Knowledge” – don’t try swatting them away – or running in a zigzag pattern, thinking you’ll escape. Instead, pull your shirt over your head and run in a straight line as fast as you can – into the wind, if possible… Because a stiff breeze will slow the bees down. They’ll usually give up before you reach shelter. But if you’ve been stung 15 times or more, or feel sick, get to the ER. Do you have a fear of the ocean… and JAWS? Before you start worrying about a shark attack, know this: Six times more people die from being attacked by COWS than sharks. You’re also more likely to die from being attacked by a dog or pig. 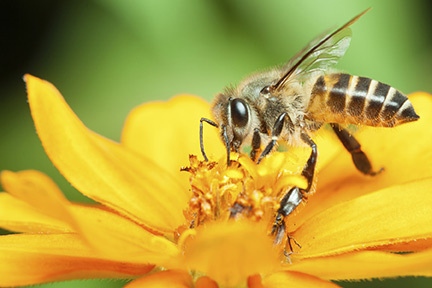 And overall, the deadliest creatures on earth – besides humans – are bees and mosquitoes. The answer: Lightning. Hail may sometimes get big enough to crack windshields and dent cars… But deaths are rare. The last death from hail was a baby in 1979. But lightning kills 150 people a year in North America… So follow this rule: When thunder roars, go indoors. What if you’re caught outside? Look for the nearest enclosure. But don’t touch anything metal while you wait out the storm. What’s more dangerous: A trampoline, or a swimming pool? The pool. Backyard trampolines send 100-thousand people to the emergency room every year – mostly unsupervised children with broken bones and head injuries. But trampolines kill only 1 person a year… While 1,500 people die in swimming pools… According to the Red Cross, drowning is the second-leading cause of accidental death in children. And it can happen in a minute – so swimming lessons and constant supervision are a must. What’s more dangerous: Bees or sharks? The answer is: Bees. You’re 53 times more likely to be killed by a bee than a shark. In fact, you’re more likely to be killed by a bee than any other animal or insect. At an amusement park, what’s more dangerous: A roller coaster or a water ride? The coaster. They go much higher, much faster, and have a lot more moving parts. 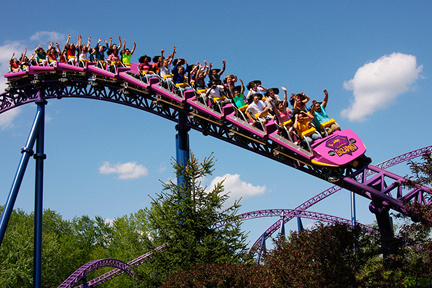 In fact, half of all amusement park deaths are caused by roller coasters… Twice as many as water rides. Here’s what to do if you get stung by a bee. With the nice weather finally arriving, bees are close behind.